Kanakia Zen is a Japanese themed project which is a great place for solace and solitude that are a reminiscence of Japanese culture and lifestyle. At Zen, every facet of the project has been carefully designed to create your world of peace. With thoughtfully chosen amenities, grand design aesthetics, beautifully carved out landscapes and acres of open spaces Kanakia zen offers a global lifestyle where residents can mingle with a discerning community and soak in the finest luxury. 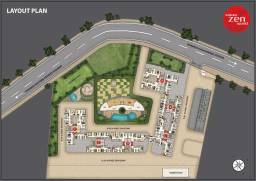 The project features 1, 2 and 3 BHK apartments. All basic utilities are just walkable distance from Kanjurmarg Location like ATMs, banks, petrol pumps, play schools, hospitals, restaurants, colleges, schools, train stations and bus stations in a proximity. 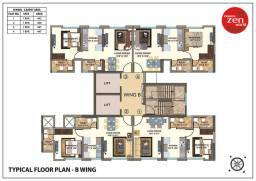 The project is strategically located in Kanjurmarg (E) that offers the ease of being at home as commuting is comfortable. At Kanakia Zen World, living the Zen way will be your ultimate respite! Kanjurmarg has great Road and Rail connectivity. Has opened connectivity between Western & Eastern Mumbai increasing accessibility to areas like Powai which are not served by trains. Quick access to International & Domestic Airports. Kanakia Group was formed in the year 1986 by Mr. Rasesh Kanakia (Chairman) & Mr. Himanshu Kanakia (Managing Director). Today Kanakia Group has earned a distinct reputation as one of India's premium developers and is rated as one of the top 10 Real Estate development brands in Mumbai. 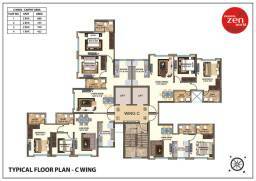 Kanakia Spaces Realty Pvt. 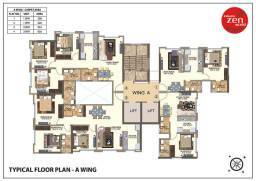 Ltd. the flagship real estate development company has delivered till date over 14 million sq. ft. of commercial, residential, entertainment, education and industrial spaces. Kanakia Spaces has been honoured with several prestigious awards for their landmark projects.